These buses run on Sunday Mornings and Wednesday night. 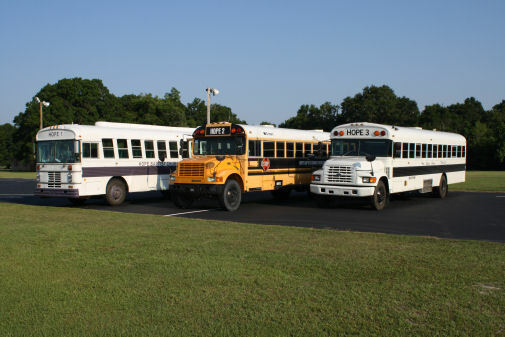 Pick up times: On Sunday morning the bus leaves the church at 8:45am and returns to the church at 9:30am. 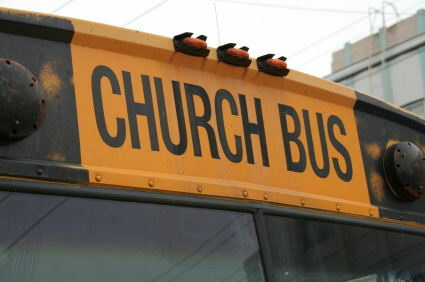 On Wednsday the bus leaves the church at 5:30pm and returns to the church at 6:45pm.